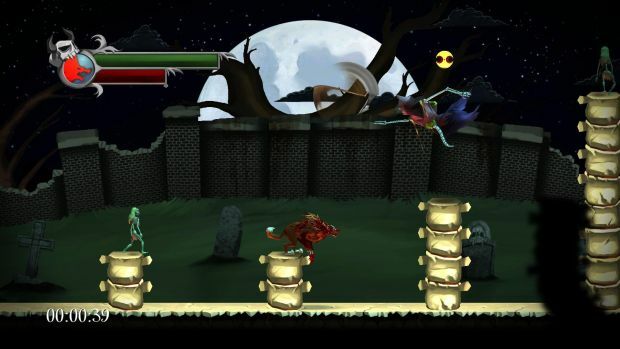 Majesco's indie label, Midnight City, has announced that Blood of the Werewolf is heading to Xbox Live Arcade and PlayStation Network Q2 2014. The Metroidvania-style game was released on Steam last year, and the console release will add a new Endless Challenge mode that will offer procedurally generated and increasingly difficult levels for limitless runs. The label also announced Avalanche 2: Super Avalanche, coming to Steam in the next couple of months. It's a endless climber and sequel to the Avalanche flash game. It's basically like The Blocks Cometh, except, um, bad.